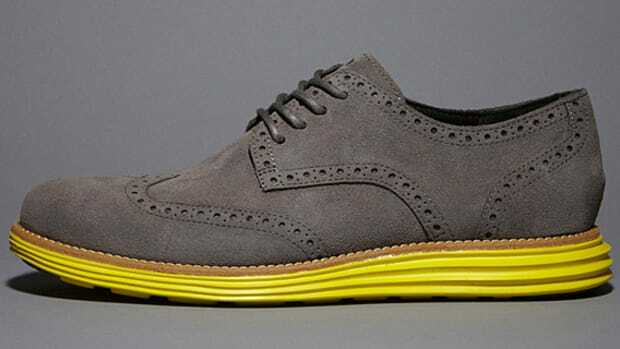 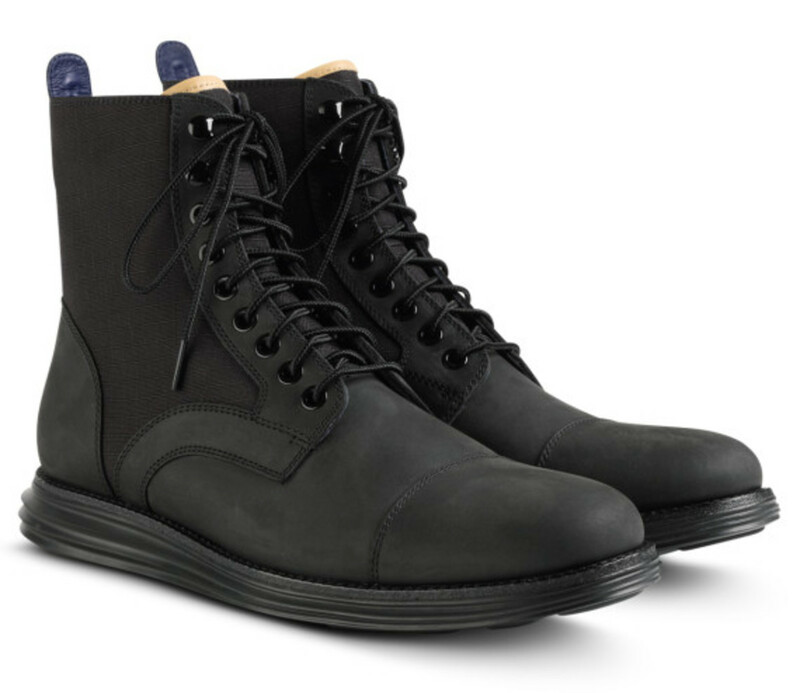 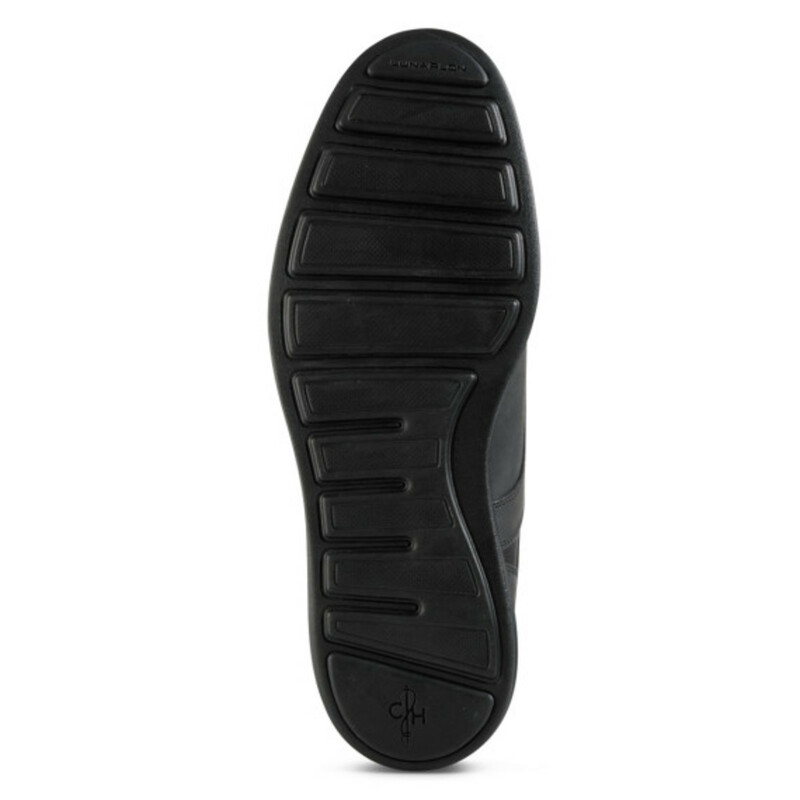 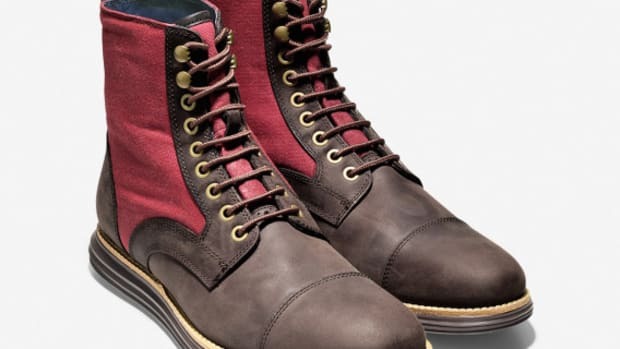 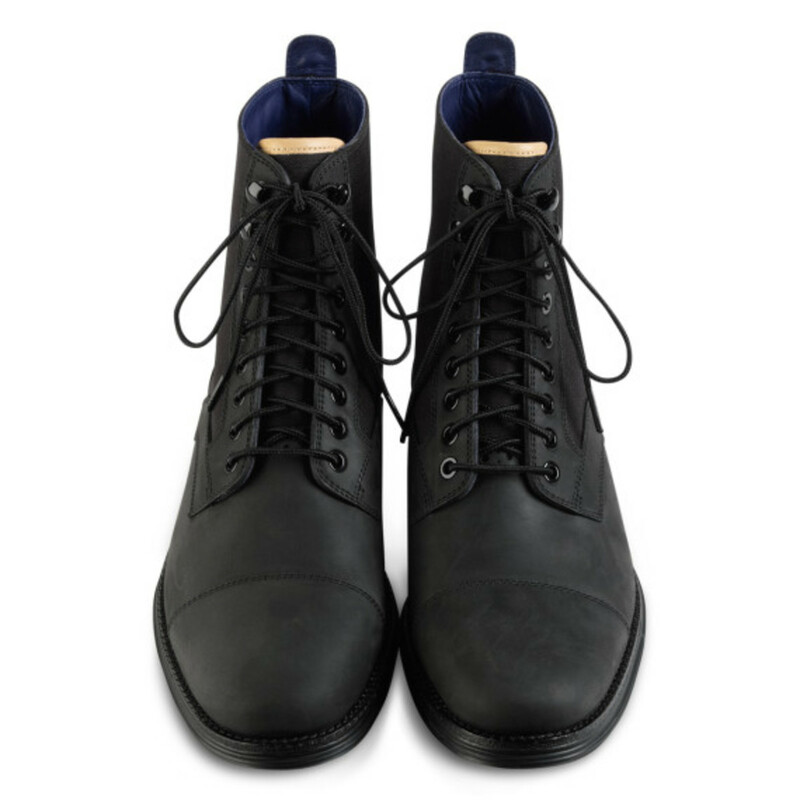 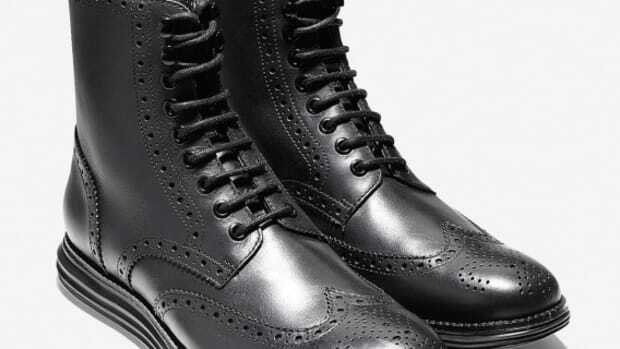 Cole Haan&apos;s premium construction and Nike&apos;s Lunarlon cushioning comes together on this Cole Haan Lunargrand Lace Boot in black, featuring a sleek, no-frills aesthetic that offers versatility and high style. 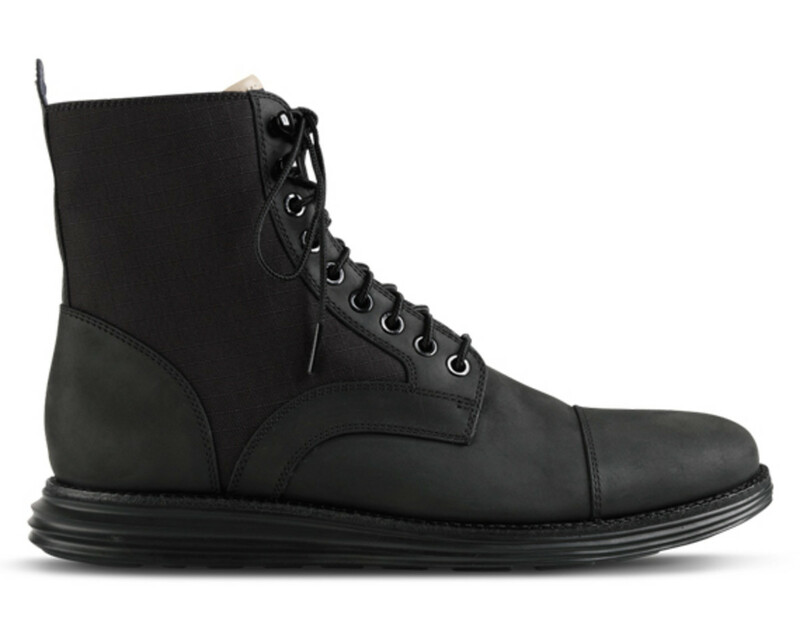 Built to withstand the elements, the nine-hole silhouette features waterproof leather and a natural storm welt. 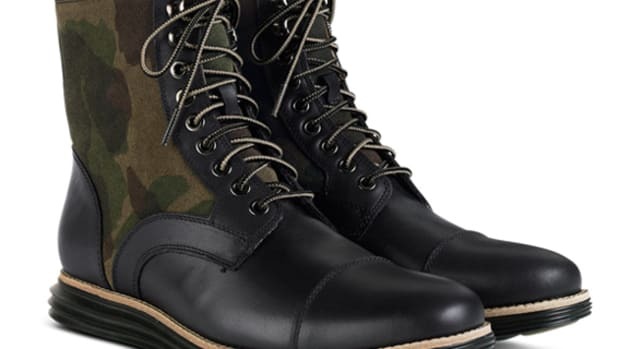 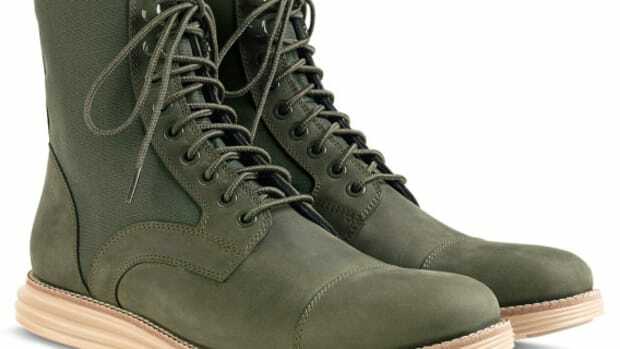 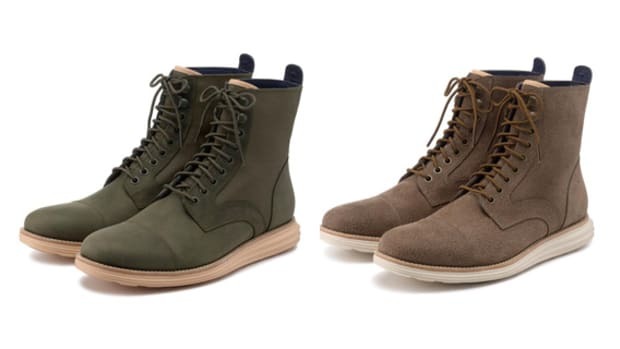 Tonal ripstop paneling offers authentic military styling and breathability, while cap toe detailing adds an elevated look. 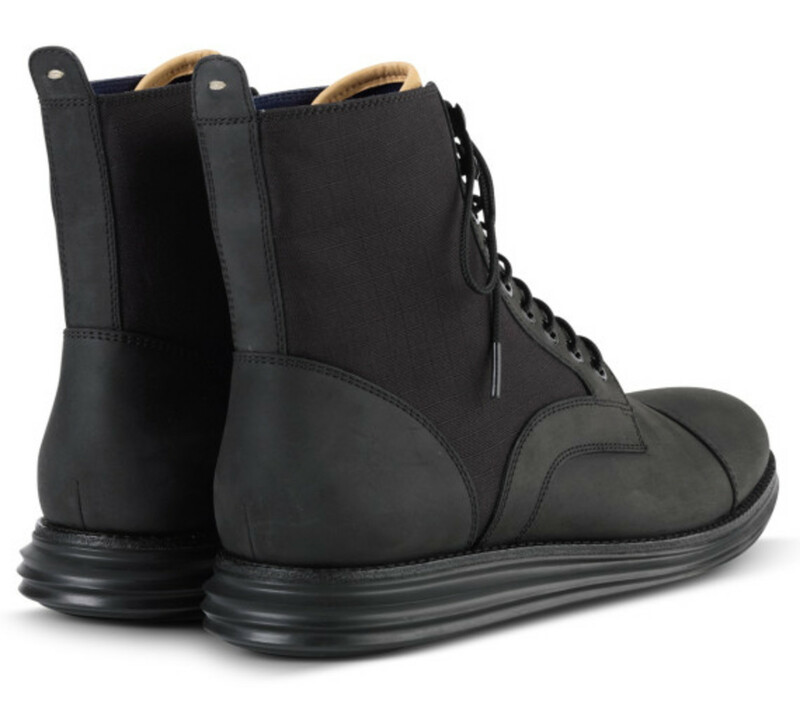 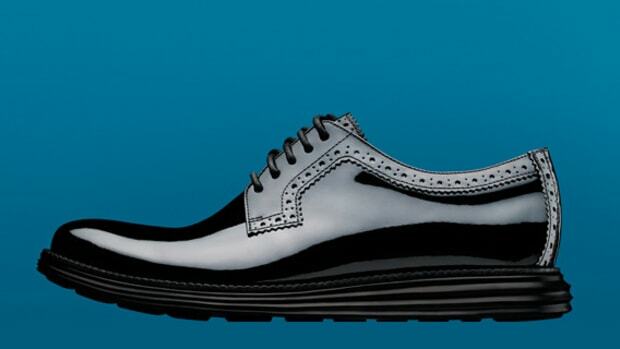 Additional features include synthetic lining, metal eyelets and an EVA midsole with cushioned Nike Lunarlon footbed. 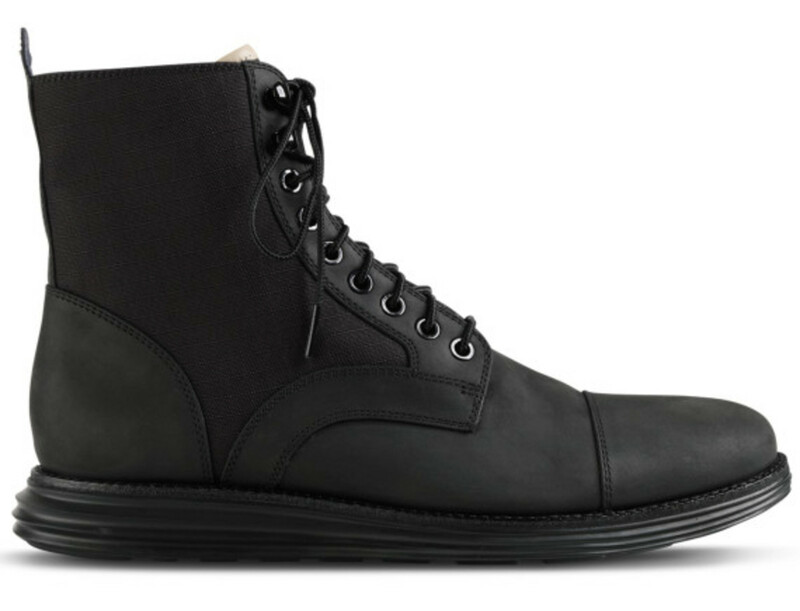 Continue reading for detailed images, and find the Cole Haan Lunargrand Lace Boot in black at select Cole Haan retailers and online.